Claas says the pending introduction of the liner 1900, 1800 twin, 1700 twin and 320 swathers means it can justifiably claim to offer a rake for every requirement. Claas Jaguar and Greenline harvest centre product manager Luke Wheeler says the three new models are high performance twin-rotor swathers. 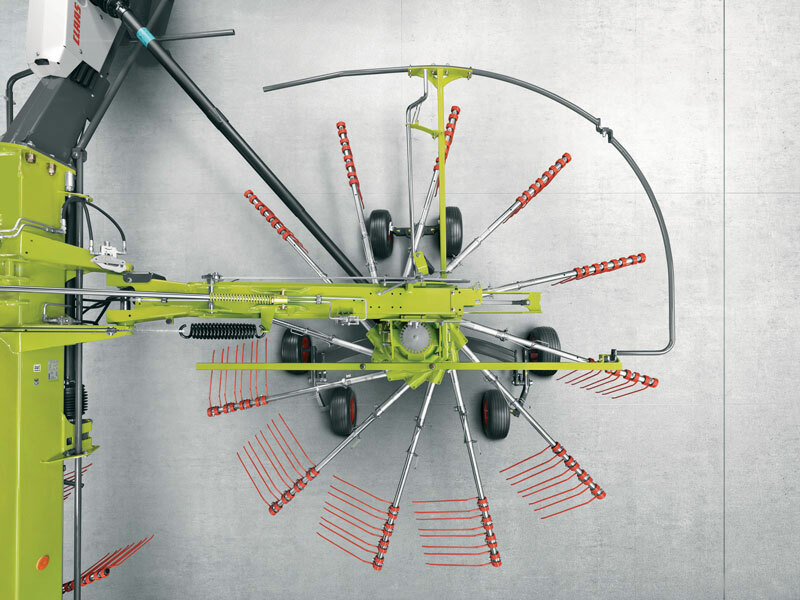 The German machinery giant manufactures 20 different single-, twin- and quad-rotor rakes with widths up to 15m. The liner 1800 twin (8.4m) is a new model to the range, while the 1900 (8.05m) and 1700 twin (8.45m) are the successors to the existing 1750 and 1650 models and are expected to hit Australian shores sometime in early 2018. "They feature a trailed, fully floating rotor suspension that is controlled via a ball head for maximum freedom of movement," Wheeler says. "This innovative design allows the rotors to adapt to any ground contour, ensuring a clean raking performance and high feed quality." Other features of the new liner range include the friction clutch that gently cushions peak loads and double U-bent tines. "The tine brackets have a set bending point so that if they hit an obstacle only the affected tine arm is bent, leaving the swathing drive undamaged," Wheeler says. "The tines are 9.5mm thick, making them robust yet flexible – their specially developed shape ensures gentle and reliable operation, so that even large forage quantities are picked up tidily without soiling the material. "This simple technology means the driver can maintain the desired operating speed, even in difficult conditions or over small obstacles." Claas has also provided the liner 1800 and 1700 twin with telescopic arms, allowing it to lay single or dual swaths. All three new Claas side swathers come with four-wheel running gear on both rotors as standard. 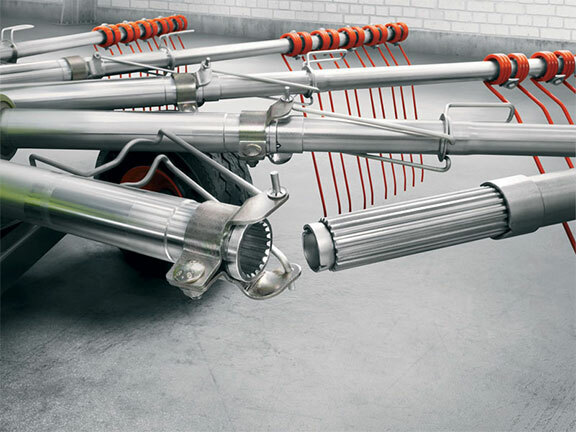 "The wheel configuration has been positioned as close as possible to the tines to ensure clean raking and minimal soil contamination," Claas says. According to Claas, the maximum permissible transport speed for all models is 50km/h. Wheeler says the fourth new model, the liner 320, is the ideal swather for smaller areas and hillsides. "It has a working width of 3.2m and is fitted with eight tine arms, each with three spring tines," he says. "Its three-point mounting and lightweight design makes the liner 320 the ideal entry model for smaller farms where work regularly takes place on awkwardly shaped fields or on difficult hillsides."